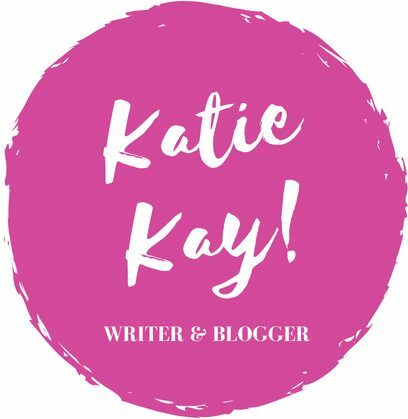 19 RESOLUTIONS FOR 2019 – Katie Kay! Hello, my dear and wonderful readers! 2019 is upon us, and if you’re like me, you probably have some resolutions up your sleeve. While every day is a perfect start to aim for a new goal, New Year’s Day is always a nice reminder to freshen things up a bit! I hope you all have been thinking of some resolutions of your own, but I thought I would share 19 of my personal resolutions for this defining year! And remember–everything is what you make it. Some friends and I have recently implemented “Track Tuesday” into our weekly schedule. This simply means that we take one night out of the week to exercise, whether that be jogging (for me and Miss Givenchy) or weightlifting (for the chicos). It’s probably better to exercise more than once a week, but for now, this is a good starting point. Recently I read a news article entitled “Are you a people pleaser?” My answer would be an emphatic yes. I let others control me in so many aspects, and sometimes I never reveal what I’m truly thinking. Enough of that! It’s important to say what you think, or people will always take advantage of you. We’re put in certain situations for a reason. 2018 taught me to remember that you’re in charge of your own life, and 2019 will be the year of going for it. What do I mean by this? I’m simply saying that we only have a set time on this Earth, and we waste so much time, whether that be playing video games, spending hours and hours on the phone (see #5), or, something relatable to all of humankind, worrying. Therefore, I say that we spend our time going for it. Don’t be afraid to try new things. Channel your discomfort into new passions, new memories, and new discoveries. A few days ago, I checked the “screen time” on my iPhone and almost threw the thing at the wall. I spent seven hours on that thing in the span of 24 hours, which is absolutely unacceptable. There are so many other things I could have done with that seven hours: Hanging out with family and friends, working on new books, planning trips, making money. Instead, I was watching pointless videos, reading nonsense facts online, and lying around with nothing to show for it. It’s time to spend less time on all technology, because the physical world around us is too amazing to forget. In today’s society, we are constantly pounded by information. It seems as if everywhere we go, an excess of knowledge is available at our fingertips. While this has its positives, there are also some negatives to this sort of reliance on technology, especially considering #5. Therefore, I will challenge myself to read more novels in this upcoming year. Books are great methods to relieve stress and relax, and it is a great way to entertain your brain. When I am overwhelmed by the world around me, books are a source of escape. Therefore, it is time to read as much as possible! In 2019 I will work on being more open with people. It is important that we remember our loved ones do truly care about us, and it is important to keep them in the loop. Prayer is a beautiful, wonderful thing, and I urge all of you to try it out. I have been slacking on this front, but I truly believe in the power of belief and faith, and so I want to pray more this year. It is time to be bittersweet: Time is passing by, and we’re growing older, each and every one of us. It is time to realize this, because when we let our days go with no thought for the future, we can sometimes forget how important the present is–and to treasure each moment. Therefore, we need to spend more time with the people we love, even when it feels mundane or boring or annoying, because there will be a day when we won’t see them again. Rejoice in the relationships you have, even in the low points. And in 2019 we should work on spending more time with the people we love. This is the year we need to actually write something–and something that matters! What does this mean? Doesn’t everything we write matter? Well, if I’m being completely honest, I find a difference between some of my novels. For example, a romance like Mystic Mississippi does not have the same value as one of my magical realism books. Different genres exist for different purposes, but I want to write something that has symbolism, magic, and value for my readers. This will be the year when I write something out of my comfort zone, but something that needs to be written. I have spent so much time thinking of outcomes and possibilities and what-ifs instead of actually pursuing what matters (#4, anyone?). However, I have also learned that it is imperative to be kind and good-hearted to both the people I meet and the people I know. I’m sick of losing relationships, or not even getting a chance to develop these relationships, because I haven’t extended the olive branch. I make mistakes, and I want forgiveness. I don’t want to hide away in my transgressions, but instead to find growth and develop as a person. Olive branch, even when I am stubborn. Well, this is going to be an interesting resolution. My entire life, I have been a fan of super casual clothing. In summertime, I am in t-shirts; in winter, I am in t-shirts covered with sweaters. However, going to college has taught me that there is value in dressing up, even if it’s just a little better than normal. While dressing up doesn’t define a person, it can matter in the realm of relationships. Our identities are personified in so many aspects, and the way we dress ourselves can present certain characteristics before we even say a word. Therefore, I have decided I want to banish the t-shirts (even if just for a few days per week) in favor of a more stylish look. This is a huge one. I am so sick and tired of eating microwaveable meals at college, and when I come home and have access to a kitchen, I’m always making pasta or sandwiches. Therefore, I want to expand my cooking abilities. This may seem a little random, but it is! I have terrible vision and rely on contacts for 99% of my waking life. However, I want to wear my glasses more because, well, it is just a change, I suppose. Plus, my friends refer to my alter ego as “Glasses Katie.” Pretty ridiculous, I know. In December 2018, so only a month ago, a few friends introduced me to both the guitar and the ukulele. They love to play, and since I am always around them, I found myself strumming the ukulele one night. My friend Even taught me some chords on the “uke,” while my friend Matt worked with me on guitar. Christmas break rolled around, and I found myself missing the ukulele, and missing it a lot. So I did a quick search on Amazon, bought one for $30, and have been playing non-stop since. My fingers are calloused, my family annoyed with my endless songs, and my brain on fire. The ukulele is such a peaceful, happy instrument, and it is so much fun to play. I totally recommend for you guys to check it out, even if you aren’t the biggest fans of music. It’s very easy to learn, and I hope to develop my abilities this year. This should be on everyone’s resolutions list, if we’re being quite honest. While I am all for individuality, cleanliness is a must. It isn’t the most fun thing to keep up with, and I’m guilty of being a slob, but it’s time to grow up and keep a clean work space and living arrangement. Okay, here is a slightly more comedic point on this resolutions list. Recently I got a facial at the spa (now that experience should be a blog post) and was told to exfoliate my skin more. Time to live up to that tip. And for those of you who have never had a facial… Get one done this year. It is an interesting experience, to say the least. So often we get caught up in the mundane life that what really matters is swept under the rug. We lose sight of the people we love, and our own feelings are ignored. This is why we have to be intentional to discuss things–and the things that matter most to us. In 2019 I hope to be both myself and open to new conversations. I want to hash out my opinions and listen to others’, without fear or annoyance or pre-judgments. But this also means that I hope others will respect my own thoughts, and be open to talking about these issues as well. It is no secret that writing is my passion, and it’s my favorite thing in the world. (And I’m sure this is true for a lot of you who are reading this blog.) However, we must remember to make time for our passions. We must be intentional, we cannot cave into boredom or laziness, and we must remember who we are in the process. People and circumstance will always wear on us, just like eroding winds carving out chunks of canyon. But this doesn’t mean it can’t create something beautiful, and we must use our experiences to further what sets our souls on fire. At college, I lose sight of my writing, because there are so many other things to do. But we cannot always think like this, or we can lose our contentment and drive. Do what you love in this year. It’s worth it. Now it’s up to you: What do you want to resolve of yourself in this upcoming year? Already a week of January has flown by, and the year will follow shortly. Make sure to think of your own list, and stick to it, because if we don’t make the first step, we sure aren’t going to make the entire journey. Wow, I hope you keep up the Resolution for all year, unlike me😁😁. And thanks for following me, I will be sure to write up some awesome blogs!!! 💜💜💜 thank you so much for reading. I hope your year is as amazing as you are!! For knowing thank you for reading and writing. I hope your year is so fantastic, stress-free > > > > ((((((((((° J °) time and beautiful weekend!!! Keep us updated on your resolutions!! !